Prior to joining Ronnie Staples’s fleet of pro-built hot rods and Resto-Mods, the Splitliner was a mild custom powered by a 350 crate motor. That was then; this is now. Within a week of purchasing this custom Chevy Fleetline coupe from Scott Graham, Generations Body Shop, Franklin, IN in 2002 Staples started to turn it into the Splitliner showcased here. It already had been chopped one-inch, nosed and decked, and had its hood and fenders reshaped. It had Mercedes taillights, tan interior and dark green paint. Power came from 350 small-block mated to a GM 700R4 automatic. Its frame had a Fatman crossmember, tubular A-arm front and four-link rear (air ride) suspensions, power rack, discs and a 10- bolt 3.42 rear. In 2004 it copped the Award of Excellence at the Bradenton, FL Super Chevy Show. 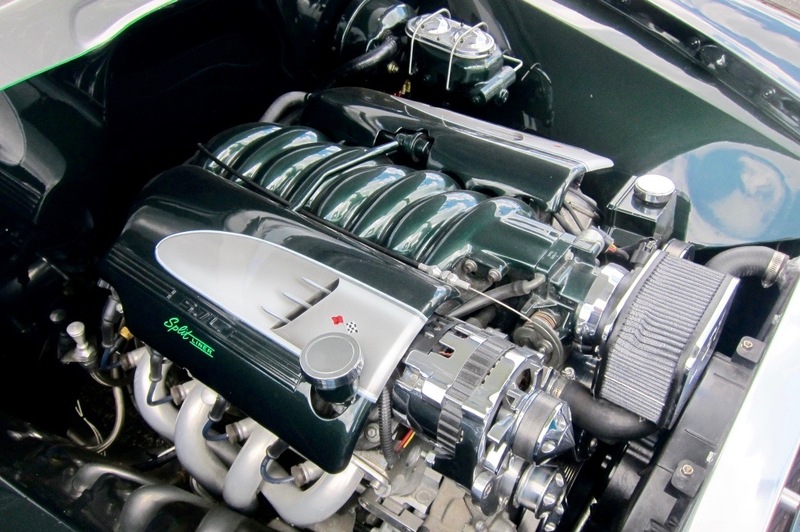 In 2004, hot rod builder and Sarasota Café Racer Mike Griffin, Sarasota, FL, repowered the custom Chevy with a more powerful and efficient LS1 Camaro Z/28 SB bolted to a 4L60E transmission. It’s a far more practical powertrain for cruising since this custom was not to be a trailer queen! In 2006, Staples sketched out what would become a design for a total revamp of his customized Chevy. Master fabricator Nelson Cunningham, Chester, VA was tasked with turning Staples’ illustrations into what would become, the head-turning Splitliner. Cunningham reworked the pie-cut and pancaked hood. Next came the roof. It had already been pancaked, but that wasn’t enough. 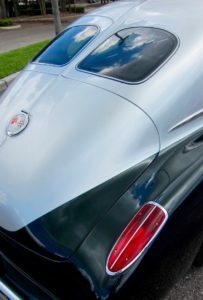 The rear window was given the ’63 Sting Ray split-window coupe treatment, complete with Corvette gas filler. Rear wheel wells were cut 1½ inches to better showcase the big 20-inch American mags and 10-inch-wide tires. The rear bumper was notched to accommodate four exhaust tips; ’58 Corvette taillights were installed. 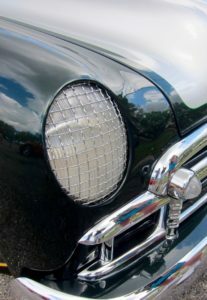 In keeping with the Corvette theme, early Corvette-style mesh screens cover the Mercedes-Benz headlamps. Staples’ design for the waterfall-themed interior is completely unique with Corvette and later-model Chevy styling cues. 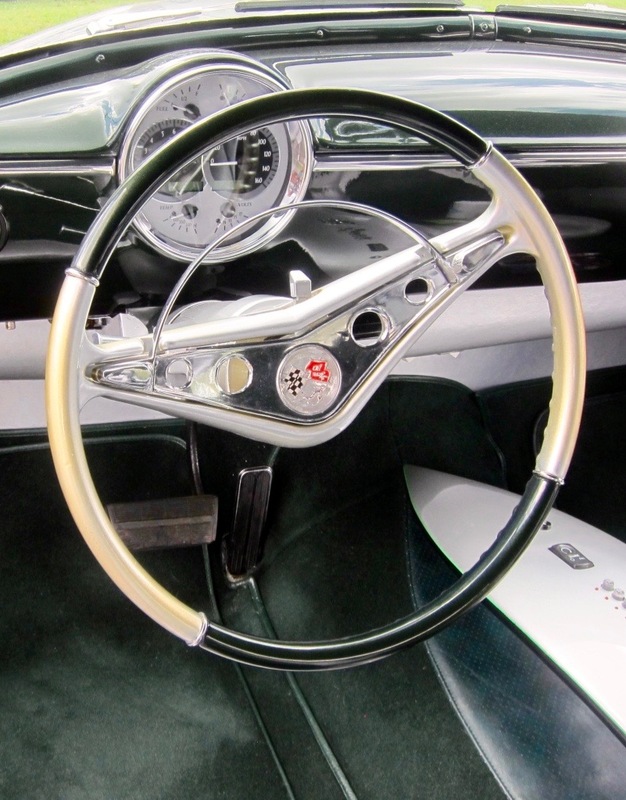 The steering wheel is from a ’58 Impala and the emblem on the “waterfall” is ’62 Corvette. An electronic shifter (button) controls the transmission. There are four bucket seats. Freddy Steel, Stingray Upholstery, Prince George, VA stitched the silver and dark green interior and added dark green woolcarpeting. 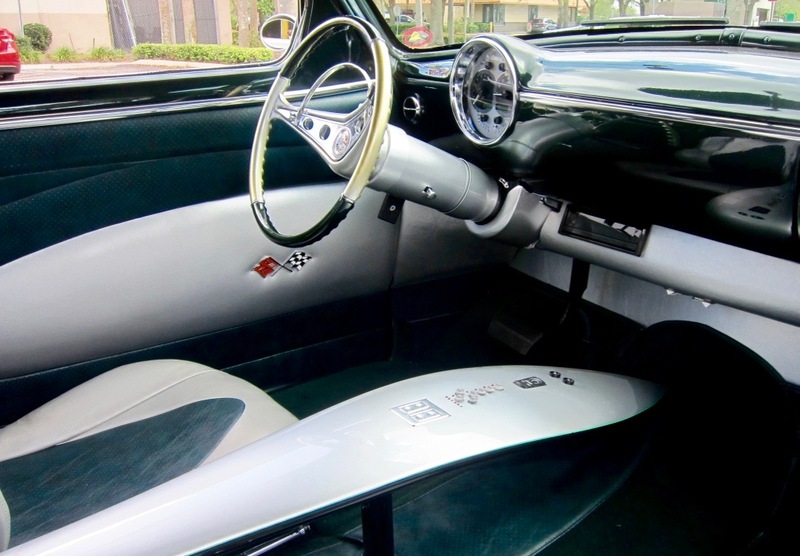 The Corvette theme continues with ’57 Corvette-style coves and crossed-flag emblems on the door panels. Nelson Cunningham sprayed the two-tone Lincoln dark green and silver paint and Danny Riddle, Hopewell, VA applied the pinstriping. Even though the Splitliner is maintained in “ready-to-show” shape, like all of Sarasota Café Racer Ronnie Staples rods and customs, it’s driven. 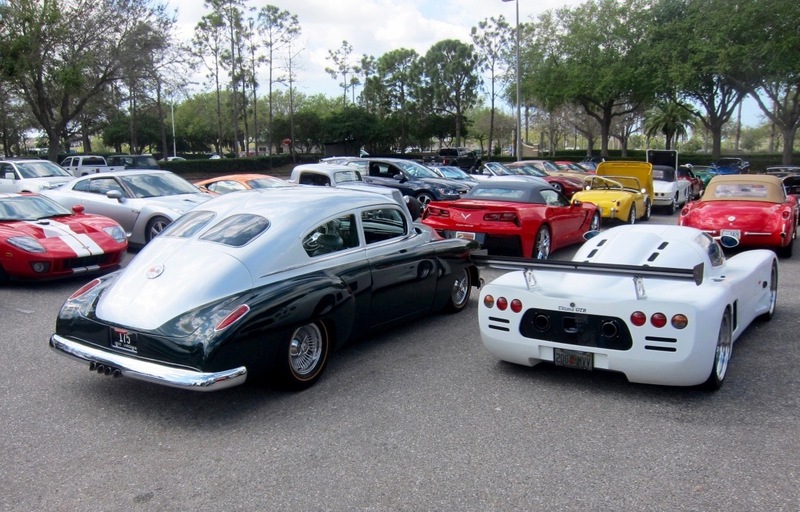 Most of these photos were taken when he attended a Sarasota Café Racers carguy lunch.